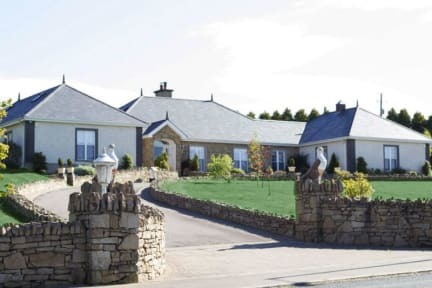 Our Bed & Breakfast Pennsylvania House is situated in a central location for exploring the rugged unspoilt scenery of the Northwest Atlantic coastline of Ireland, yet we are minutes away from the ancient market town of Letterkenny with all it's amenities. Our facilites include: spacious private parking, Free WI-FI Internet, Family friendly Service, Guest Sitting Room for guests use, Breakfast choice Full Irish or Continental, Special Diets catered for with prior notice, Tea/Coffee served on arrival with light refreshments, Self-service for tea/coffee until 19:00. Large garden, patio and seating for guests use. We are 2miles/3km out of Letterkenny town on the Wild Atlantic Way Route. It is less than a 10min walk to pub, diner, supermarket, off license, gas station or self-service laundry. 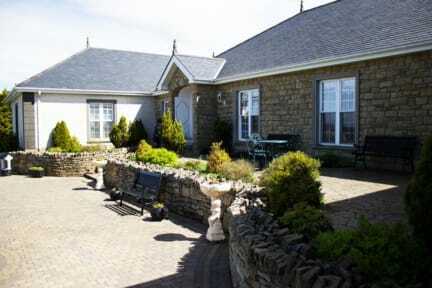 Pennsylvania House B&B can also be used as a base for you to explore northern Ireland, particularly Derry walls, and the Giants Causeway in Antrim, among many other beautiful sights. Letterkenny is the largest town in Co. Donegal. The town has a buzzing atmosphere and offers great historical and recreational opportunities for visitors to the area. Letterkenny is the ideal location to stay when exploring Donegal with its friendly people. The town has many interesting monuments and buildings, both new and old. Letterkenny also has some interesting art galleries and museums including the fascinating New Mills Corn & Flax Mills. Our B&B accommodation offers luxury spacious en-suite rooms and excellent service. You will arrive a stranger and leave as a friend. A Cead Mile Failte awaits you! Room Amenities are: Toiletries, Power Showers, Private Room Safes, Trouser Press, Central Heating, AlarmClock/Radio, TV in all Rooms, Luggage Racks, Arm Chairs, Hair Dryer/Curling Iron, Iron and Iron Board Facilities upon Request. We hope you enjoy your visit and we look forward to your call. Slan go foill. Breakfast included, Full Irish or continental breakfast. No children under the age of 14 years. Non-smoking, smoking allowed out in the garden.